I decided to feature a beautiful wedding shot in Naples, Florida for my coast wedding because everything was so beautiful and ethereal about the wedding. Erica and Steve had the most beautiful orchid covered wedding platform that I have ever seen. It was spectacular but because it was covered in white orchids it was also incredibly subtle. It blended into the background but was one of those items that if you really looked at it you realized how wonderful it was. Erica was sweet and beautiful in her stunning wedding gown and cocktail dress. Take a look at these photos they are some of my favorite bridal portraits that I have taken, some a bit more traditional and others so serene that it brings me a sense of peace to look at them. 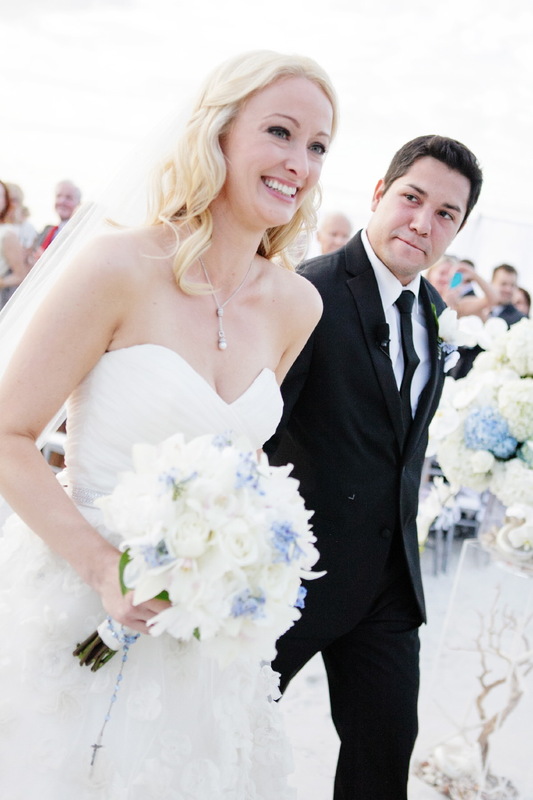 They were married at the Ritz Carlton in Naples Florida and transformed one of the small dining rooms into a white wonderland of beautiful flowers for some of their closest friends and family members.